The next part of my little series to my ‘Staple Collection’ is this beautiful white blouse I recently bought at Zara. It is now at home in my wardrobe with my 5 other duplicate blouses, lol. So I’m going to convince you why you need a white blouse/shirt in your wardrobe if you don’t already own one, which I pretty much doubt. 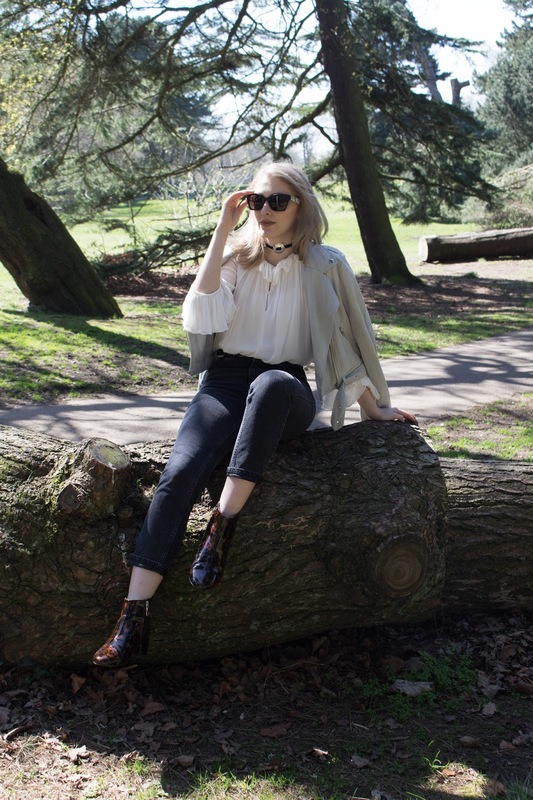 A white blouse can be worn for so many occasions and styled up so it looks completely different every single time. 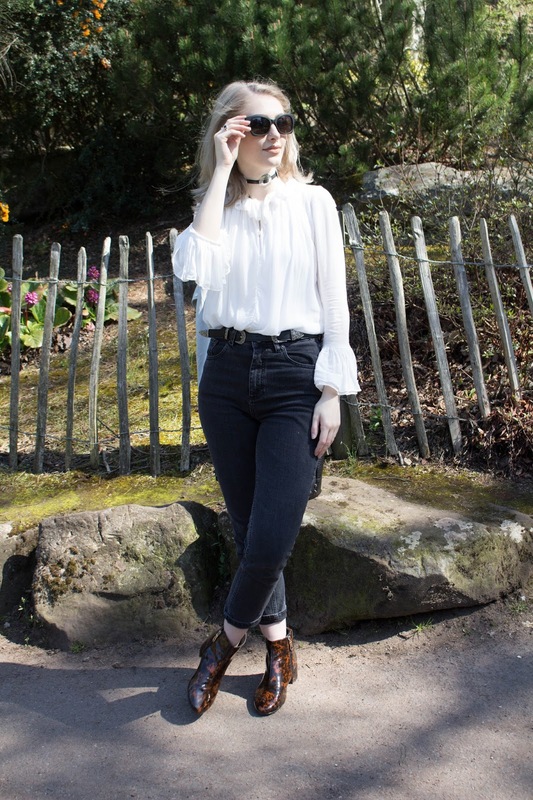 Job interviews, formal events, causally thrown on with blue jeans for that Lana Del Rey vibe, anyway you wanna look you can do it with a white blouse. Here I threw it on with my current favourite jeans and this dusky blue biker jacket to make it Spring appropriate. However I’d happily swap the flats for heels for a night out or even swap the jeans for shorts in the Summer time. I think this blouse with me a staple item not only in my wardrobe but in my suitcase too for Summer time when I’m traveling to different cities. 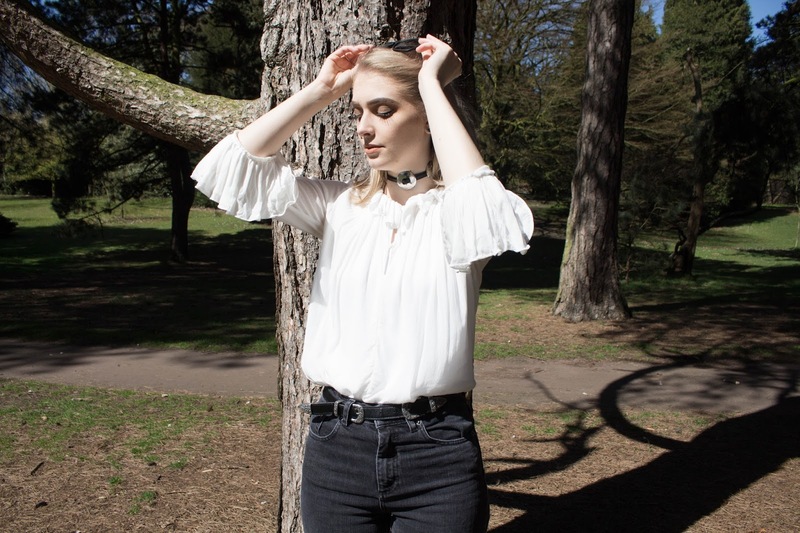 What caught my eye about this blouse was the bell sleeved style, very festival inspired but also the victorian gothic layered frills around the neck. Hope this outfit gives you some inspiration and if you guys have a staple blouse please tweet me some photos to @tisdaleerin!